Pines has taken studying English to a whole new kind of experience. Since it is Pines’ aim to provide the best service to its students, Pines Portal (PIPO) was recently launched. PIPO is an online centralized student service that will attend to students’ needs. Students’ requests are processed during school hours (8AM – 6PM). Standing in front of the bulletin board and trying to locate your name, room number and teachers’ names are no longer necessary. Pines Portal gives students an online access to their schedule. 2. Log In using your Student ID number as a username and your birth date as your password. 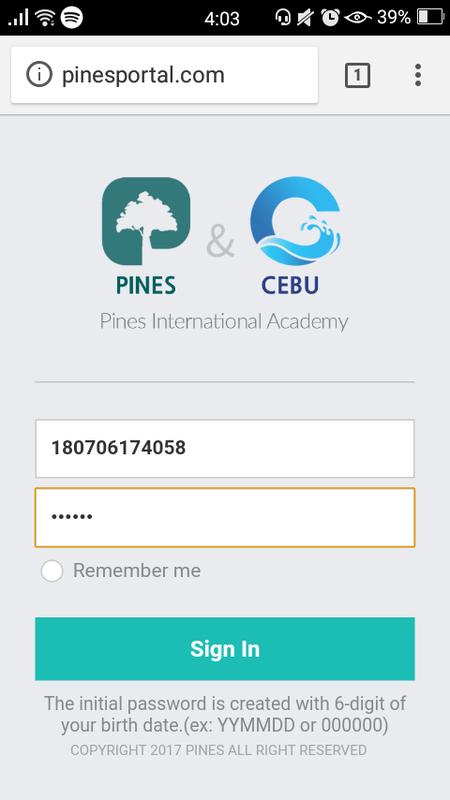 *For easier and faster access, students can directly log in by using the Pines Portal Wi-Fi. This latest feature of Pines also gives an access to personal student request and a ready- to- assist staff will deliver the requested item. For example, a student who feels cold and wanting to get an extra blanket will just send the online request and the blanket will be shortly delivered (refer to the picture below). It’s simple yet great, right?! Student’s comfort is one of Pines’ top priorities!